Armaide is a fast and responsive integrated development environment for Windows. It is designed for developing reliable software to run on the powerful NXP / Philips LPC2000 family of ARM-based microcontrollers. It enables you to write software with the readability of Delphi and Pascal and the processing power and low-level access of C without the risk of buffer overruns, memory leaks etc. Astrobe for Cortex-M3 is a fast integrated development environment for developing efficient 32-bit native code embedded software for Cortex-M3 microcontrollers. You can now write high- and low-level software without assembler or C. Features include interrupt programming, register parameters, advanced data structures and floating-point maths. Parser Generator is a YACC and Lex programming tool for Windows. It is able to generate C, C++ and Java parsers and lexical analysers. This includes both Unicode and Multibyte Character Set (MBCS) variants. In your applications you can create multiple, thread safe, instances of these parsers and lexical analysers. Direct support is provided with Parser Generator for Visual C++ and Borland C++ and C++Builder. pdScript (Precision Delphi Script) is a standalone executable interpreter of Pascal Script language, with native support for graphical user interface. pdScript interpreter allows you to execute your scripts directly from Windows environment, from the command-line or via dynamically linked interpreter embedded into your application. It also allows you to build a standalone executable applications from your scripts, with optional code encryption. 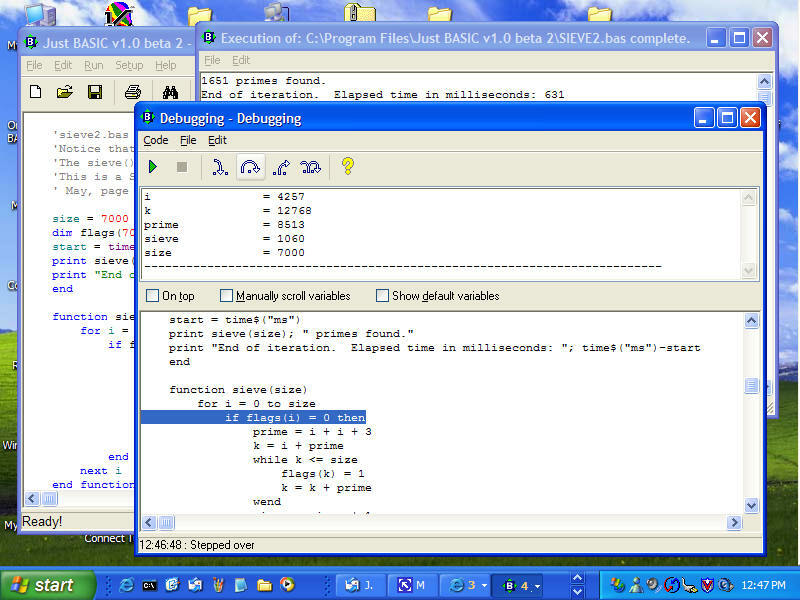 PlayBASIC is a powerful and full featured game programming language for Windows. It was designed for beginners and experienced game designers alike, and includes as many built in features as possible, letting programmers work on the game, rather than learning the complex techniques behind it. Making PlayBASIC the an easy gateway into game programming for those budding game designers out there. TAS Professional 7 is designed to be a complete application development tool for graphical operating systems. It provides application building tools for the programmer new to application development. As well as the seasoned developer demanding professional quality development tools designed to work together from the beginning. These powerful utilities include: Data Dictionary Manager, Database Maintenance Programs Form Editor Report Editor.